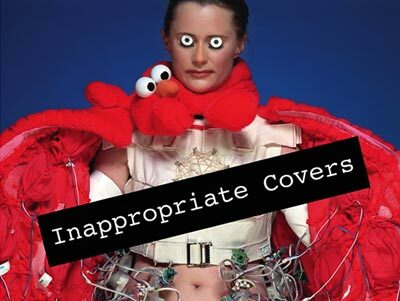 The exhibition Inappropriate Covers explores the theme of appropriation through "covering" or erasing existing pieces of art to reveal a new found meaning. Ranging from shocking to comical, the multimedia work of eleven artists address this theme by using pre-existing art pieces to sculpt into a transformation that might be deemed "inappropriate" or at the very least challenge our preconceived viewpoints. Malcolm Grear Designers created the invitation, exhibit brochure, text panels, and outdoor signs for the exhibition. The exhibit is on display from April 10-May 29 at the David Winton Bell Gallery on the campus of Brown University. For more information, please visit the website of the David Winton Bell Gallery. Read the review in the Providence Journal.